Although I got invited to my first Christmas press event in May this year (a new record), July is usually the month where most brands introduce you to their autumn and winter wares for the coming season, including any special Christmas launches. 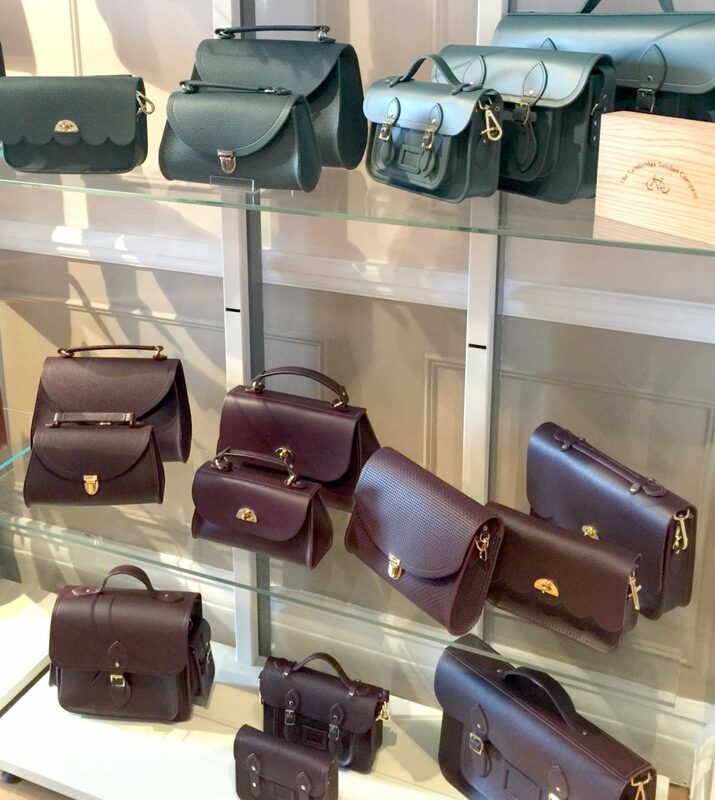 The one I’d been most looking forward to was with one of my all time favourite brands – the Cambridge Satchel Company. This year they celebrate ten years since they opened for business, and you may have seen my post on just how crazy my love for them has become. 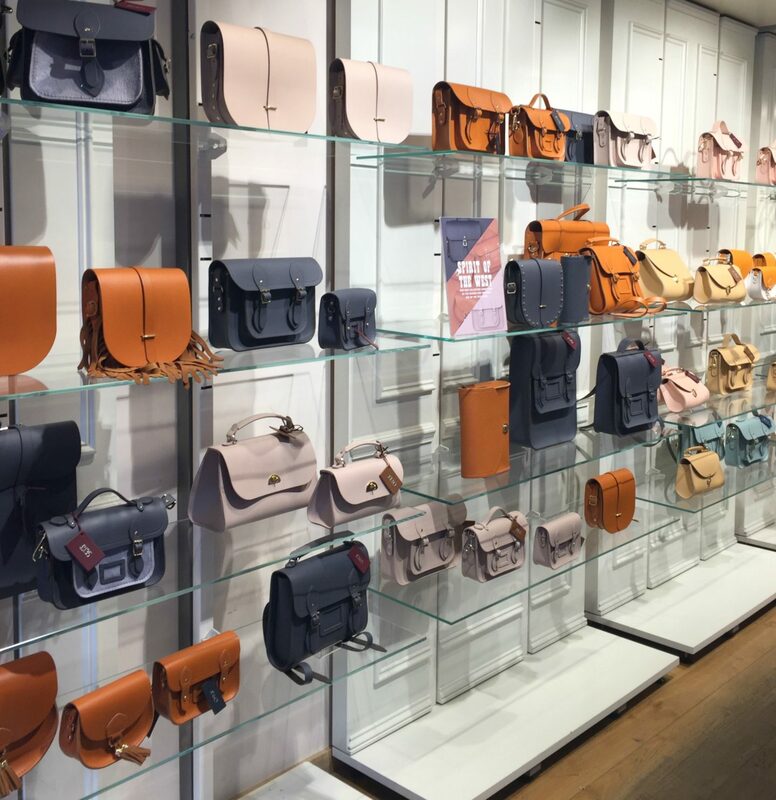 I couldn’t wait to get a sneak peek of the bags I would no doubt be adding to my collection later in the year, but I was not expecting to have the best press launch experience of my life, ever. 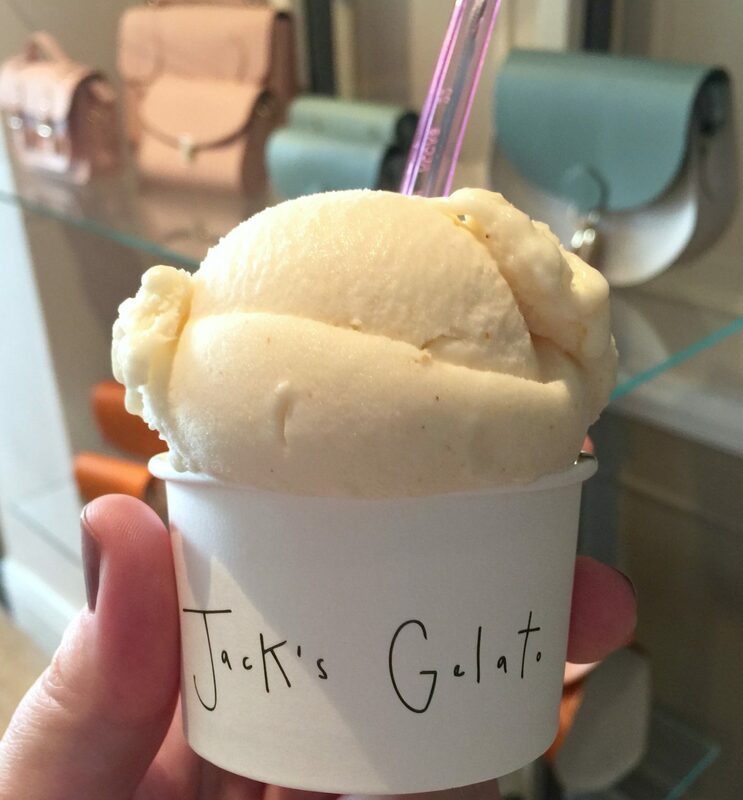 The event was held at Cambridge Satchel’s flagship store in Covent Garden, made extra special with foods that are exclusive to Cambridge, including famous Fitzbillies chelsea buns, and the immense Jack’s Gelato which people will queue up for an hour for in Cambridge. He had made some special Christmas flavours for the event, including mince pie and roasted pear, which I can confirm were both delicious. I was having a great time looking at the new collections (more on those in a second), when in walked Julie Deane, the founder of the company. I very nearly passed out as I was introduced to her, she was so lovely and we had a good chat about how she finds colour inspiration, including for the beautiful colours in her very first range (from which I bought these pink and yellow beauties – now both sadly RIP). Julie said as a child she had a paint pot collection, and was so fascinated by the colours she’d stare at them, without actually painting anything. As someone who played with felt tip pens as if they were dolls as a child, including giving each colour a personality and a back story, I could relate. 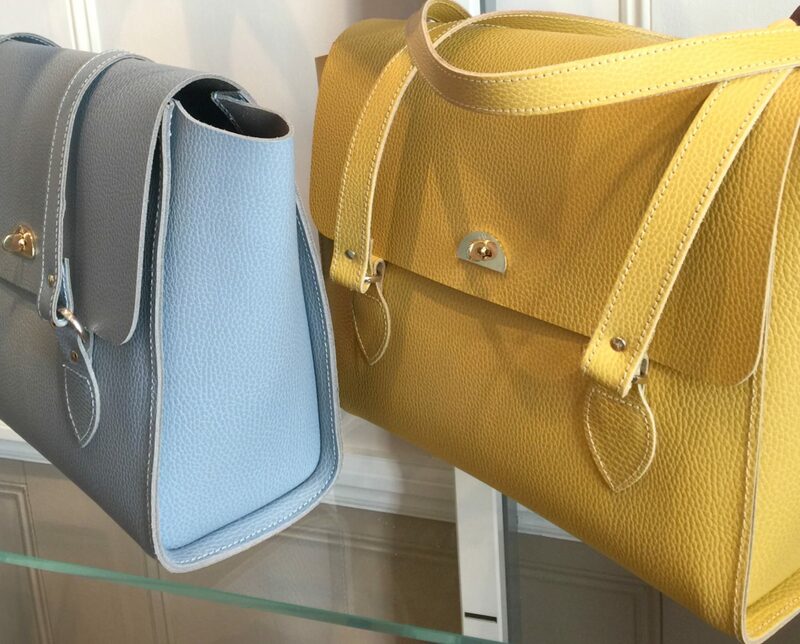 I love how much Cambridge Satchel as a brand is driven by colour, and for collectors like me it continually keeps you on your toes as almost everything is limited edition. I was talking to Julie (Julie, like we’re mates now!) about how I initially thought all the original colours would always be available, as there wasn’t such a quick turnaround in colour ranges in the early days of the brand. If I had known that the pink Batchel would be gone for good I would not have knackered mine out. A man from their team walked by at that moment and Julie asked him if there’s any of the original pink leather in the factory, he said yes and she asked him to make up a bag just for me. I nearly cried, the lovely PR lady nearly cried, it was emotional. I was not in a million years expecting something so amazing to happen, and now I will have a Cambridge satchel of extreme exclusiveness, and have even been told I can choose my own hardware colour and design. I am going to keep this bag in perfect condition forever and only use it once a year, maybe on Julie’s birthday in her honour. Before she left to talk to the press and be fabulous, Julie told us another lovely story about how in the early days of the brand she would just use faulty bags from the factory, and her young son asked her why she never had the best bags as she owns the company. In secret he did some chores for his grandmother, and saved up to buy Julie her own brand new satchel with her initial embossed on it, which she still uses today. How sweet is that? Also very cute is the release of the new Emily (below) to celebrate the tenth birthday of the brand, named after Julie’s daughter. Such a stunning bag, and a totally new design for them. I really like the Christmas range (top picture) that’s deep maroon-red with gold polka dots, but by far and away I am most excited about the AW18 range (above). How gorgeous is that purple shade? It’s called Juniper, and I want at least three things from it, including that immense textured large push lock. The green range on the top shelf is called Fir, and I think it’s the green I’ve been looking for. I don’t often take bags back, but occasionally the shade won’t live up to my expectation when I see it online and then in person, and that happened with a shade called Racing Green. Fir is much closer to what I’d hoped that shade would be like, and I want the Batchel and the large push lock in that shade too. They’re both such perfect colours for autumn, I cannot WAIT. I think the Emily is out at the end of August, same as the Junpier and Fir ranges. The Christmas bags will be out in October, and there’s also two fab new ranges that just came out and are available in store and online now. One is in collaboration with the Aspinall Foundation to raise awareness of giraffes as an endangered species (20% of each bag sale goes to the foundation), and the other is a Wild West collection (below), inspired by Julie’s trips to Wyoming. It includes two stunning shades – Canyon (a butter toffee brown), and Dapple Matte (a deep blue-grey). As soon as I get my pink satchel exclusive I’ll show you what it looks like. I went to Cambridge at the weekend for my birthday, and was walking on air thinking about this event, and how much I love the brand. And that gelato. 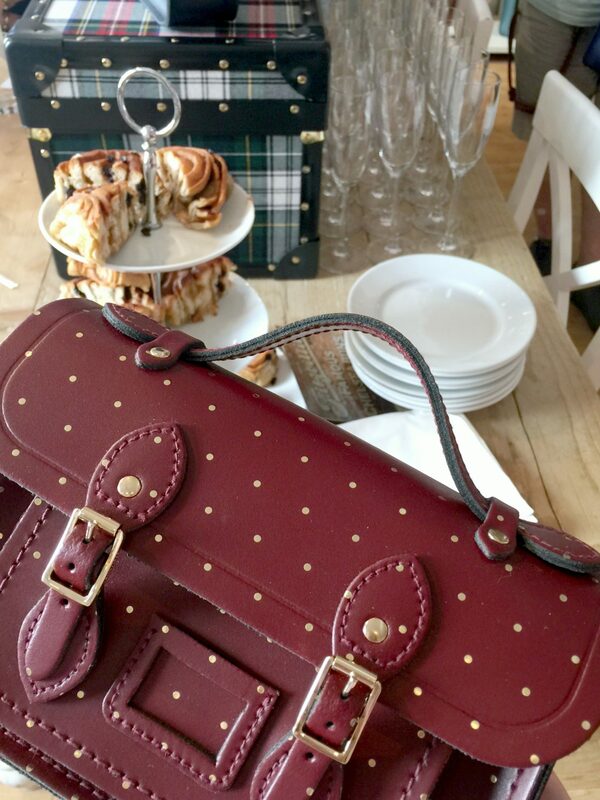 I LOVE satchels – I still haven’t got one from here, but love the look of the new collection!